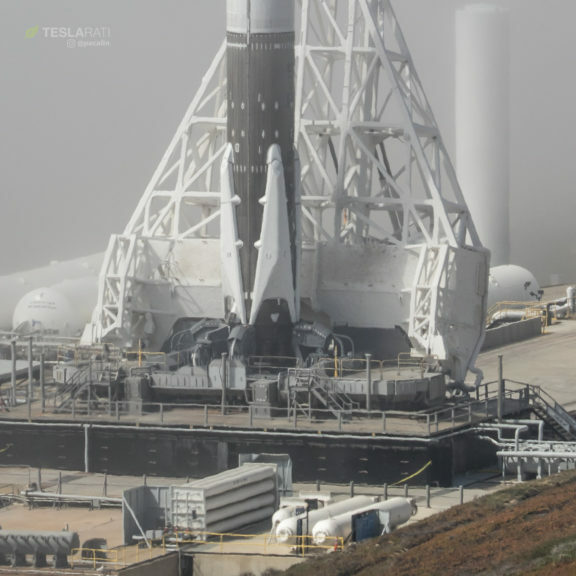 Teslarati photographer caught a brief glimpse of a sooty, flight-proven Falcon 9 while preparing cameras for the imminent launch of Iridium-5, satellites 41-50 of the advanced Iridium NEXT communications constellation. 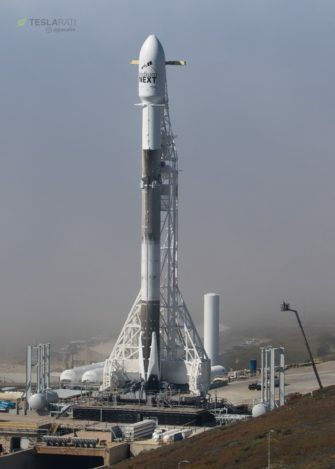 Falcon 9 is currently scheduled to lift off from Vandenberg, CA’s SLC-4E launch pad at 7:13 am PST Friday, March 30. 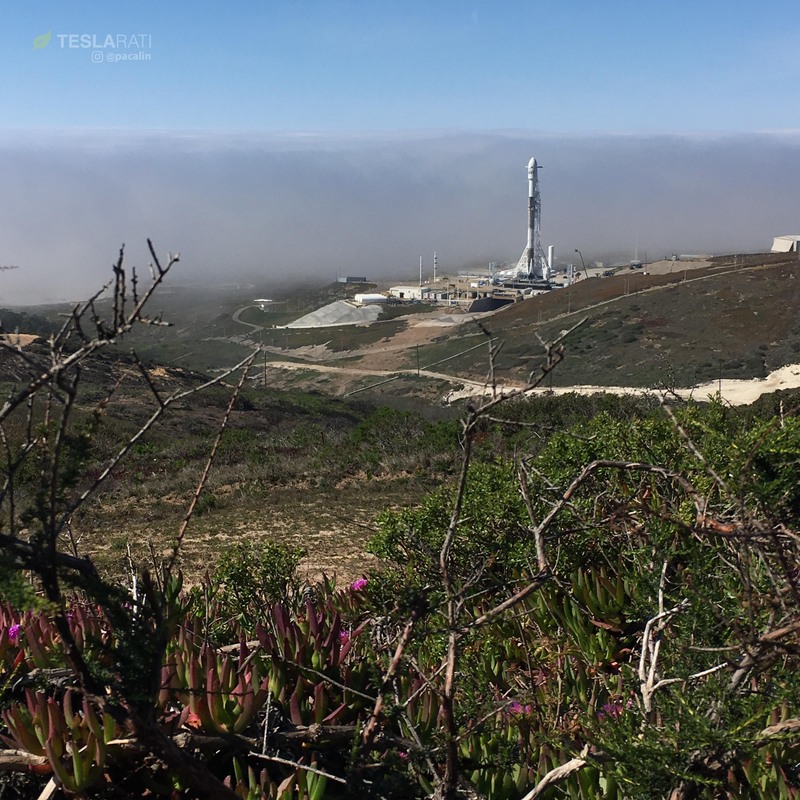 Revealed for just a few minutes during an ebb of one of Vandenberg’s (in)famous fog banks, Falcon 9 B1041 made for an impressive sight against a looming backdrop of thick fog. 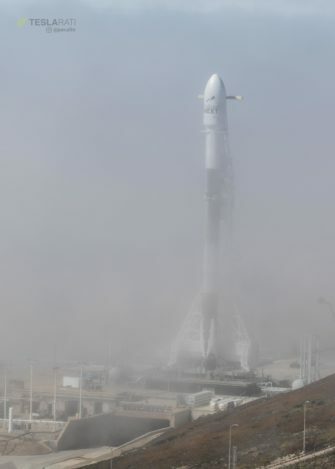 Aside from the rocket’s majestically sooty exterior, the fog also revealed the curious presence of a full complement of landing legs (and grid fins) – presumably installed to give the flight-proven booster some false hope of survival ahead of what is almost certainly an expendable launch. 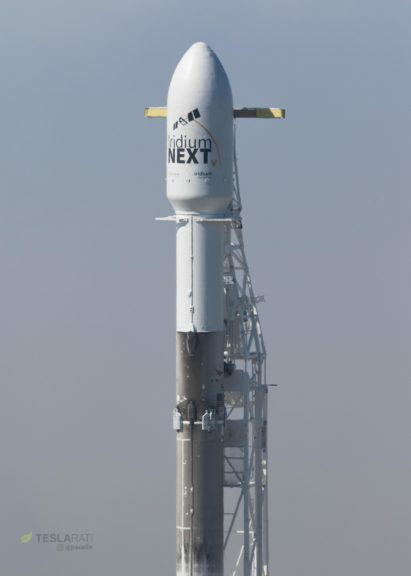 Previously tasked with launching the third batch of Iridium NEXT satellites (Iridium-3) in October 2017, the booster’s imminent soft-landing in the Pacific Ocean may at least be partially cushioned by what is effectively SpaceX’s second attempt ever to actively catch one a payload fairing with the now-famous clawboat, Mr Steven. 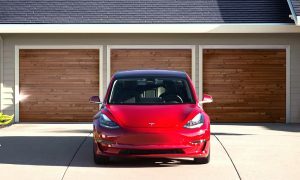 The vessel was tracked leaving Port of San Pedro earlier this morning and sped to a station-keeping spot a few hundred kilometers off the coast of Southern California. 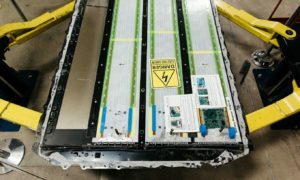 A bit more than a month ago, SpaceX’s recovery technicians and engineers got their first real taste of success with the successful recovery of one visibly intact fairing halve. Although the fairing’s parafoil system missed Mr Steven’s purpose-built net by a few hundred meters, gently landing intact as close as it did to Mr Steven was effectively a 99% success – at most, slight modifications would be required to close that final gap. 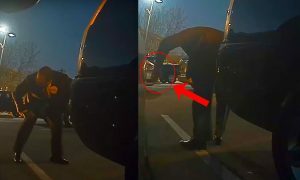 During the camera setup, Iridium’s ever-magnanimous CEO Matt Desch talked briefly with the handful of photographers present, and also spoke with and answered questions from a small group of SpaceX’s Vandenberg Air Force Base interns. 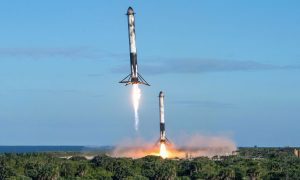 While unlikely to be quite as spectacular as Iridium-4 or PAZ, Iridium-5’s slightly post-dawn trip to Earth orbit is bound to be beautiful in its own right, and will mark the beginning of a burst of SpaceX launches over the next several weeks. 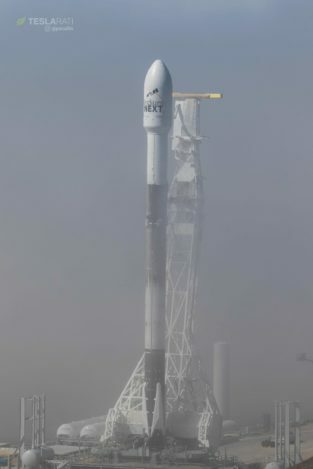 Fingers crossed that tomorrow’s early-morning launched will be fog-free. Follow us for live updates, behind-the-scenes sneak peeks, and a sea of beautiful photos from our East and West coast photographers.